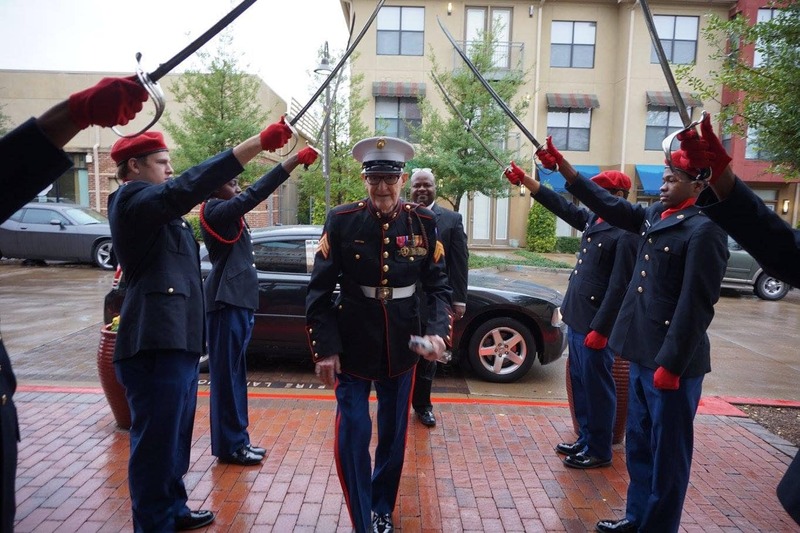 DESOTO—The country’s veterans are a major concern for the City of DeSoto all year long. To that end, officials are moving beyond the obligatory veterans appreciation events around Veterans and Memorial Day holidays. According to DeSoto Public Relations Manager Kathy Jones, the city council decided to expand the outreach to veterans in 2018. They appointed a formal Veterans Affairs Committee. The Veteran’s Town Hall and Benefit Fair will take place March 30, 10:00 a.m. to 1 p.m. at City Hall. It is a free event. The agenda for the Veteran’s Town Hall and Benefits Fair will include an opening by DeSoto Mayor Curtistene McCowan as well as a panel discussion moderated by Lt. Col. Russell Hooper, Veterans Affairs Committee Chair and Dr. Maggie Johnson Glover PhD, RN CAPT, NC, USN(ret). Panelists include Judge Margaret Jones Johnson – Dallas County Probate Court #3 and mental illness court; Rodney C. Teague, PhD – Clinical Psychologist—Local Recovery Coordinator VANTHCS and many more. 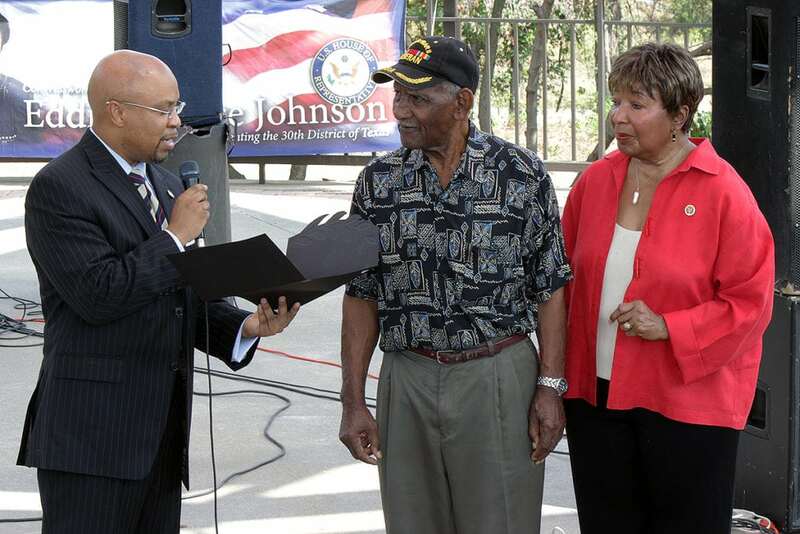 During the 2014 Community Appreciation Day Event in DeSoto Former Mayor Carl Sherman, Sr. along with Congresswoman Johnson present and award to a local veteran. There will also be several organizations on hand to provide information about various services beyond the Veterans Affairs Medical Center. Chief among them are counseling for PTSD, MST, domestic violence, marriage and suicide prevention. “Many veterans, like me, do not even go to the Veterans Hospital,” said retired Master Sergeant Bob Allwardt. “The waiting time is too long. 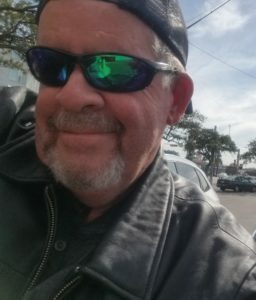 And medication can be more expensive there.” After 28 years in the U.S. Army and Texas Air National Guard, Allwartdt served his community as a local Criminal and Cold Case Investigator for Dallas and Ellis County law enforcement agencies. Stephen Holt, MD, Director, VA North Texas Health Care System said this is not the intention. Furthermore, town hall/fairs like the one in DeSoto can bring local veterans closer to the kind of services they deserve. Allwardt says too many veterans are choosing to take their lives. A recent Veterans Affairs (VA) report said that there was an average of 20 veteran suicides each day. Earlier this month, President Trump signed an executive order titled, “National Initiative to Empower Veterans and End Veterans Suicide.” This order instructs the VA to launch a task force to create a plan to reduce veteran suicide rates. Including, but not limited to, establishing community grants and developing a veteran suicide research program to address the problem. Over the course of three decades, Allwardt served as a combat medic and radiology and nuclear medicine technician in the army. He was then transferred to the Texas Air National Guard where he focused on combat security policing. Allwardt cites prolonged exposure to warfare and Post Traumatic Stress Disorder as just two of the many reasons suicide is so prevalent within the veteran community. The VA recently opened a third crisis call center and collaborated with a nonprofit to launch a suicide prevention training program. VA North Texas Health Care System covers 38 counties in Texas and two in southern Oklahoma. Accredited by The Joint Commission, this 1A complexity level facility is the second largest VA health care system in the country. Headquartered in Dallas, other facilities are in Bonham, Fort Worth, Tyler and Plano as well as five community-based outpatient clinics.